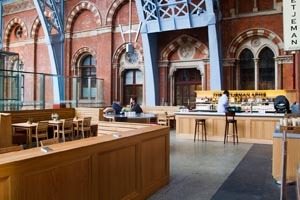 Nike, The Guardian and Britvic are among the corporate clients planning to hold business events at the refurbished The Betjeman Arms. Event space at the venue, which is on St. Pancras International’s upper concourse, includes the Main Dining Room for 80 delegates and a boardroom for 30. Recent corporate clients also include Ocado, the BBC and Network Rail.